The public water supply for the north end of Hoy, in the valley to the north of the Ward Hill. 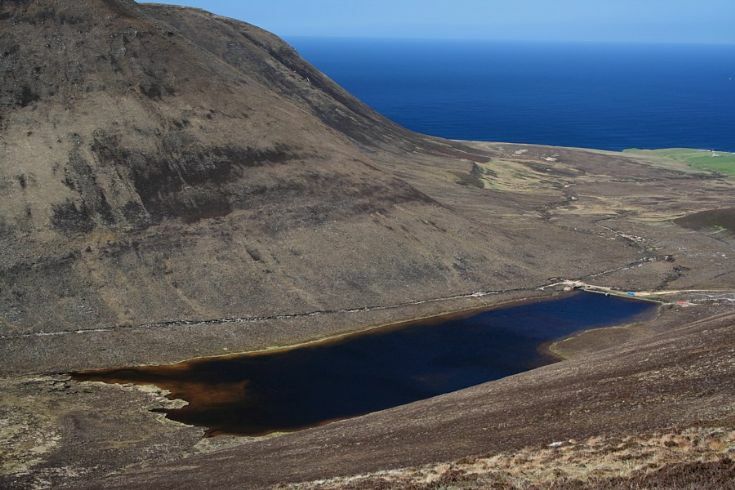 The original track to Rackwick is visible above the loch. Water demand exceeds supply from the loch at the moment and the balance is transferred by road from the Heldale reservoir.